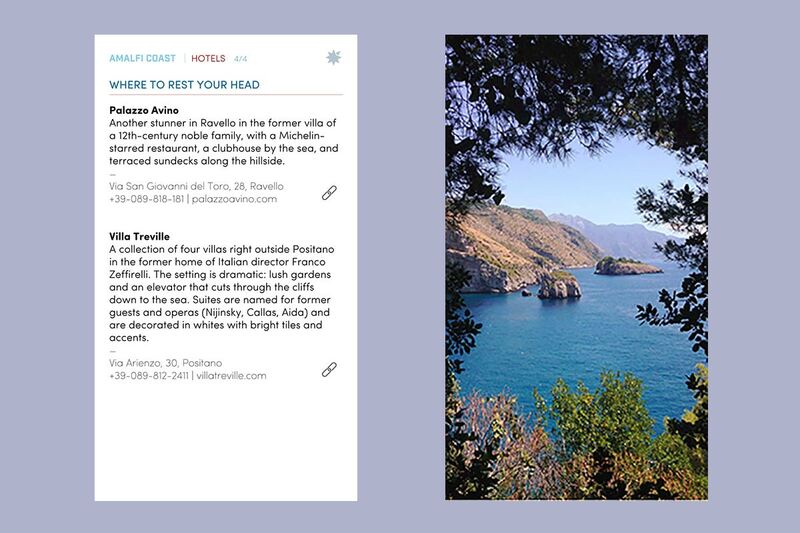 Don't leave home without Fathom's downloadable guide to the Amalfi Coast. Photo by Pavia Rosati. Want help planning a one of the biggest trips of your life — but don't want to deal with a travel agent and don't have time to do it yourself? We get it, and we're here to help. Inspired by all the requests we get for this very situation, we created Fathom Honeymoon Guides for the most popular destinations in Italy — Florence, Rome, Venice, and the Amalfi Coast. And despite the name, they're not just for newlyweds. They're for anyone who wants to fall in love with Italy. All the expertise of a professional travel staff. All the ease of modern technology. None of the sticker shock. Fathom Honeymoon Guide to the Amalfi Coast marries charm and expertise in a three-day itinerary that highlight the seaside splendor of the coast from Capri to Ravello. First-timers and repeat travelers alike are lead through adventures in eating, drinking, shopping, and soaking up local culture. 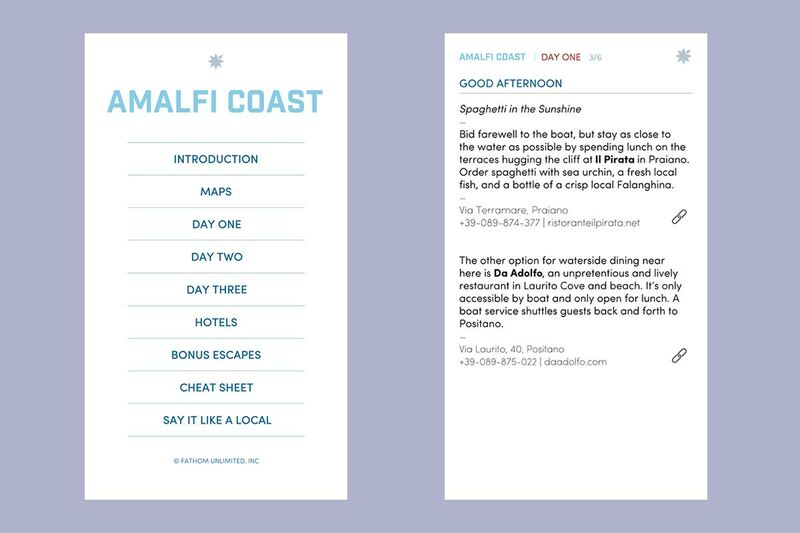 Table of contents; recommendations for a perfect afternoon on the Amalfi Coast. 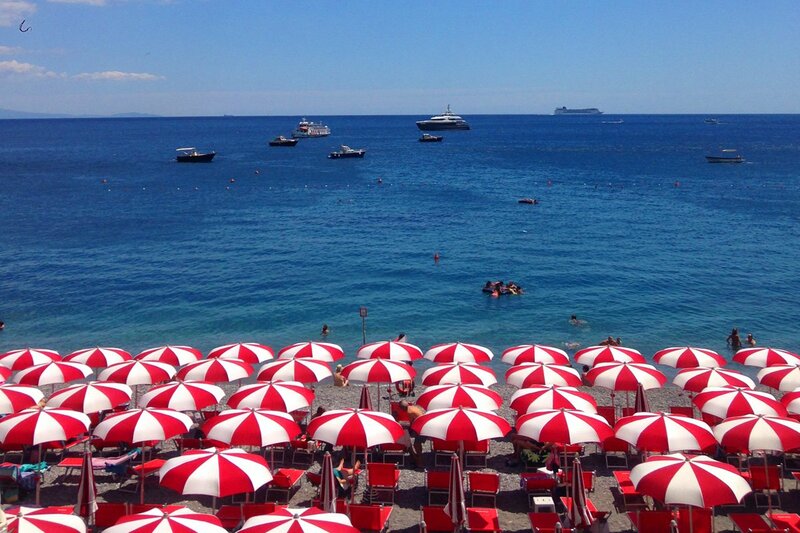 Hotel recommendations; a picture-perfect cove (you could be there!). Download the ePub to your iPhone and save it to use in iBooks. The guide works in online and offline mode. (Android is coming soon.) Best of all, it takes up zero room in your carryon. It's pure gold — suggestions, tips, lists, maps, cultural tidbits, and charming Italian phrases — available for download at the touch of a button. Breathe a sigh of relief: Your trip is going to be great. Buy the Fathom Honeymoon Guide.